Sea turtles have lived on Earth for about 110 million years. However, due to human activity, 6 of the 7 sea turtle species—green, Kemp’s ridley, olive ridley, flatback, hawksbill, and leatherback—are now classified as endangered. The seventh species, the loggerhead, is classified as threatened (likely to become an endangered species in the near future). According to the Sea Turtle Conservancy and the World Wildlife Fund, sea turtles face threats from overharvesting and poaching, global warming, ocean pollution, and the encroachment of human activity on their nesting sites. Although targeting these problems may seem like an overwhelming task, there are specific actions you can take to ensure the survival of sea turtles. Sea turtles often become the "bycatch" of irresponsible fishing methods. Educate yourself on how your seafood was caught and support organizations that advocate for the sustainable catching of seafood. The Monterey Bay Aquarium's Seafood Watch website and app allow you to look up specific types of seafood and determine if they were responsibly sourced. In addition, organizations like Too Rare to Wear also have information on products that have been made from turtle shells, like jewelry and souvenirs, which are often sold to tourists in tropical regions. Help make beaches safe for turtles and other marine animals by participating in cleanups to help remove trash from the beach. Doing so will also stop more trash from entering the oceans, reducing the chances that a turtle may become trapped or eat it. Many local groups organize such cleanups year-round, or you can organize a beach clean-up day with some friends. 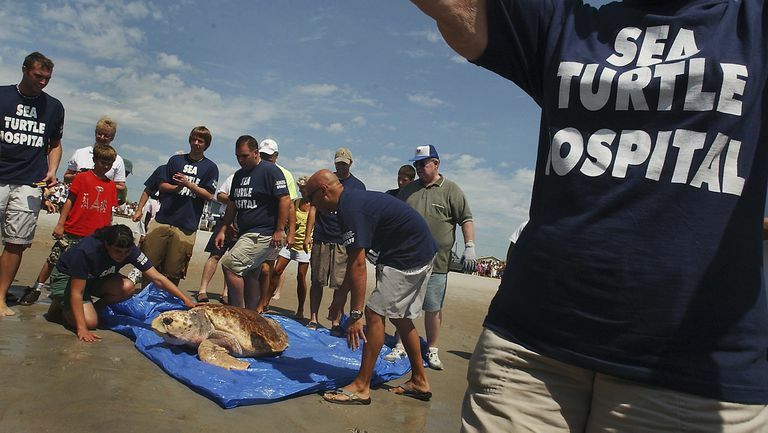 Cleaning up the beach may also help make that locations habitable for turtles again. After a 2-year beach cleanup in Miami that removed over 11 million pounds of trash from the environment, olive ridley turtle hatchlings were spotted making their way from the nest to the ocean, which had not occurred in decades. Previously, the turtles had been able to lay eggs on the beach but could not maneuver in the trash. You can help prevent trash from ever entering the ocean in the first place by recycling and reducing the amount of trash that you create. For some items, consider using their reusable counterparts, like shopping bags and water bottles to reduce your chances of polluting the beach. Plastic bags are especially troublesome, as sea turtles can mistake them for their favorite snack: jellyfish. You can also avoid other single-use items, like balloons during a birthday beach bash, which will likely end up in the ocean where they will be eaten by turtles and other wildlife. Nesting turtles and hatchlings use the moon's natural lighting as a guide. Instinctively, they follow the brightest direction to find their way to the water, but if they are disoriented by artificial lighting, they may wander inland and die of dehydration or predation. Avoid all forms of artificial light while at the beach at night, including flashlights, flash photography, video cameras, and fires on nesting beaches. If you do need lighting, try to avoid directly illuminating the beach, using a shade to minimize the amount of light shining in the area. If staying at a beachfront property, be sure to turn off all lights at night. If you do see disoriented baby turtles at night, do not take it upon yourself to move the turtles. Contact a nature conservancy organization or local authorities. A moving boat can seriously injure or kill a turtle, so stay alert if you are boating in the ocean. If you spot sea turtles in the water, stay at least 50 yards away. If they are close to your boat, put your engine on neutral or turn it off until the turtles swim away. Change your fishing location if you spot sea turtles nearby or they show interest in your bait. And remember to collect all of your fishing gear and supplies once you're done, especially fishing line, hooks, and nets. Never pick up a hatchling. Though it may be tempting, doing so may frighten or disorient them. If you do want to watch one, attend a sea turtle watch hosted by an organization, which would allow you to observe the sea turtles without disturbing them. Do not catch a baby turtle in an aquarium or bucket of water. This will use up the energy they need to swim to the ocean after they emerge from their nest. Global warming can skew the gender ratios of sea turtles, as well as the distribution of predators and prey. Although climate change might seem like too big an issue to tackle, there are many steps you can personally take to reduce global warming. Support sea turtle conservation efforts by “adopting a sea turtle” or making a donation to a wildlife conservation program that monitors and helps satellite-tracked turtles. You can also “adopt a nest” during nesting season. Try to avoid walking on the beach at night during the summer, as this may frighten nesting turtles back into the sea. To help make it easier for turtles to navigate the beach, you can also remove beach furniture and other equipment from the beach before the nighttime, as turtles may become caught in them or become disoriented. There are many ways you can help make a positive change for sea turtles. One main way is through education. You can help educate your local neighborhood or school by giving presentations, and tell people about the cause during conversations. “Adoption Programs.” Seaturtle.org, Seaturtle.org, www.seaturtle.org/adopt/. “Endangered Ocean: Sea Turtles.” Ocean Today, National Ocean Service, oceantoday.noaa.gov/endoceanseaturtles/. “Information About Sea Turtles, Their Habitats and Threats to Their Survival.” Conserveturtles.org, Sea Turtle Conservancy, conserveturtles.org/information-about-sea-turtles-their-habitats-and-threats-to-their-survival/. “Ways to Help.” Ways to Help the Sea Turtles, Nova Southeastern University, cnso.nova.edu/seaturtles/ways-to-help.html. “What Can You Do to Save Sea Turtles?” NOAA Fisheries, National Oceanic and Atmospheric Administration, 6 June 2016, www.fisheries.noaa.gov/feature-story/what-can-you-do-save-sea-turtles. “What Is the Difference Between Endangered and Threatened?” Wolf - Western Great Lakes, U.S. 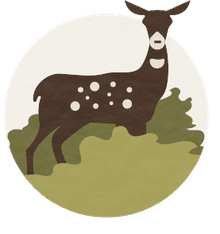 Fish & Wildlife Service, Mar. 2003, www.fws.gov/midwest/wolf/esastatus/e-vs-t.htm.